You Must Disclose All Assets in Bankruptcy, No Matter the Value If you are filing bankruptcy in NJ, you might think that you don't have to list an asset if it isn't worth much or anything. Find out why this is wrong! Many times my bankruptcy clients wonder why I ask them to put a value on things like clothing, old furniture, and costume jewelry. Who could possibly want them? They have no real value. I have various answers, but they all boil down to the fact that no matter what its value, what you own is an asset, and it must be disclosed. 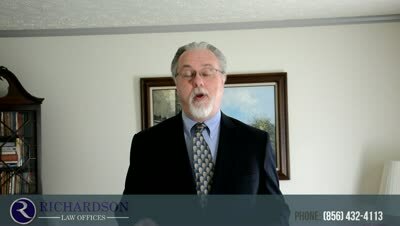 A bankruptcy petition is a written statement made under oath, and failure to disclose something is at the very best embarrassing and at the very worst a felony that could lose you your discharge. Bankruptcy trustees look for completeness in disclosure, not just value in assets. A good friend of mine who is a trustee once said to me, "If the debtor isn't telling me everything about their household furnishings, what else aren't they telling me?" He will ask a debtor, who did not list a car as an asset or a lease of one, "How did you get to the meeting today?" Or, as one trustee in South Carolina put it, to a debtor who did not list any clothing as an asset, "Were you naked when you signed the petition?" Value must also make sense, even if it is on a distressed, yard sale basis. My friend has also asked, "Are you really telling me that you own a 3,000 square foot house and only have $1,000 worth of furniture in it?" Please bear in mind when you are thinking about bankruptcy. When you meet with your attorney to prepare your petition, thoroughness is very important. You cannot leave anything out. Disclose everything and work with him or her to make sure that nothing gets left out. The thing to remember is this: it matters not its value; it matters that you own it! If you live in South Jersey and are considering filing bankruptcy, call my office at 856-432-4113 or contact me through this site for a free consultation in my Woodbury office to discuss your case.